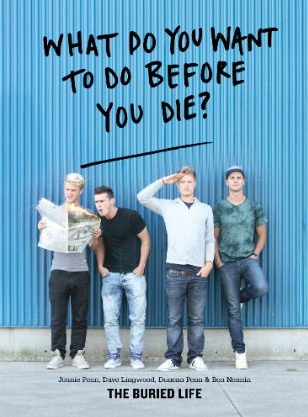 The boys of the Buried Life are bringing a book to the masses. What Do You Want to Do Before You Die? is an illustrated collection of your wildest dreams. Two hundred of the most moving, imaginative, amusing, and thought-provoking “Things To Do Before You Die” are brought to life through handmade art curated by Dave, Duncan, Jonnie and Ben— the founders of The Buried Life. Peppered throughout are lessons, secrets, and stories that come from five years of asking millions worldwide: What Do You Want to Do Before You Die? Ok, so that's nice. But do we know if they are going to have another season of the show? I realize that the second season was a little bit fake feeling, but I would like to see them back on the screen. Or is it over now that Ben is not dating Whitney Port anymore? Tragedy.